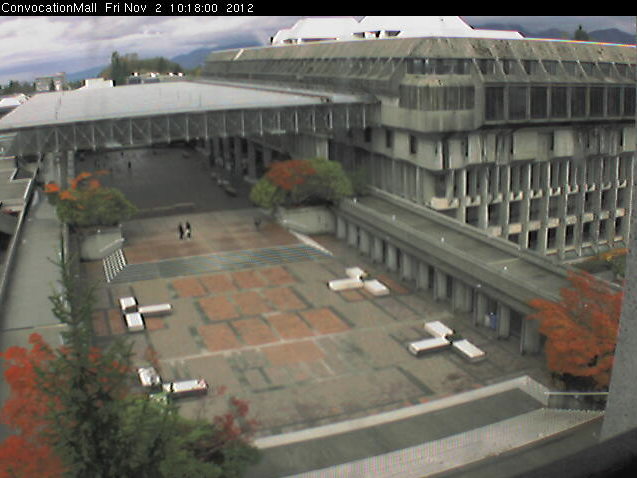 Should one wonder what it looks like behind a picket line, look at the web cam photo at SFU at prime time. For the administrators, here, two meeting in the mall, it’s lonely and a time to reflect on how to run a University with no staff, students, or faculty. 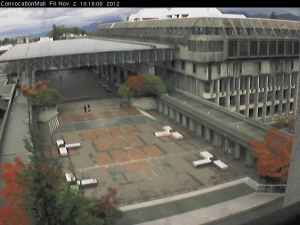 Or here at SFU, how to give the employees, such as the CUPE 3338 workers on the picket line, the hard earned wages they deserve. Or what else could these managers be wondering? Hard earned wages? Electricians, construction workers — everyone in the private sector is getting hit. Raises aren’t going around like they were 2006. We are in a global economic crisis. ….but you need a raise?